What if you could offer an ebook experience that’s intuitive for you and your patrons? What if you could manage all aspects of your collection — discovery, selection, acquisition, administration, and reporting — all on one platform? 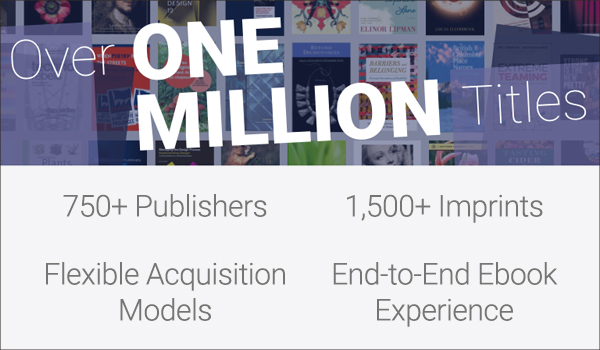 And what if that platform provided access to more than a million ebooks, with 100,000 new titles added each year? It’s all possible with Ebook Central from ProQuest. 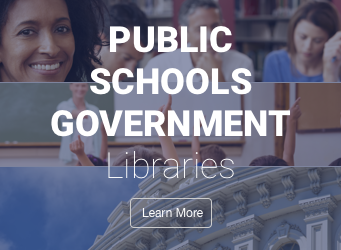 Enhanced “book detail” page to help students pinpoint the exact content they need for research or classwork — at both the chapter and subchapter level — and access it online or download it for later use. 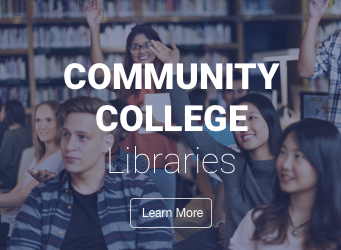 Clear table-of-contents-level prompts for reading online or downloading, plus DRM-free chapters with file names that reflect the chapter title. More intuitive features, including a simplified login process and informational dialog boxes that provide helpful hints. Understand your users and their ebook needs. Collect end-user data by querying patrons directly through a self-serve, customizable survey. This data is appended to usage and sales reports, so you can get greater insight into usage patterns and patron-triggered spend. Increased availability to frontlist content with access to titles previously embargoed from short-term loan. Greater affordability because costs are only incurred on loans and loan fees are applied to the price of the book. 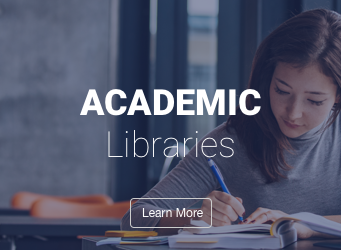 Explore our multiple acquisition models — which can be used in any combination to meet your content needs, enhance workflows and bring value to your library. You have the power to build a collection that delivers the ebooks your patrons need at an affordable price. Enjoy simultaneous, multi-user access and continued collection growth at no additional cost. Buy individual titles and give your users continued access to essential content. Title-by-title perpetual purchases are easier than ever with one-click and shopping cart options. Offer immediate access to a wide pool of ebooks — but only pay for the individual titles after a free browsing period. We partner with the world’s leading publishers, including the largest number of university presses. We partner with book vendors such as YBP, Coutts, and others, enabling libraries to acquire titles using their existing print and digital workflows. Our resellers distribute Ebook Central solutions to libraries and other institutions around the world. Teamwork is key to supporting the entire ebook workflow, so we continue to enhance our solutions with both ProQuest solutions and integration with third-party party technologies and services. Get half off select ebook titles that you already own in print! More than 90 participating publishers. Support your space reclamation and weeding needs with a free assessment of your print and electronic holdings. We’ll highlight opportunities to transform your collections and gain resources. Add titles to your Ebook Central collection from top publishers not available on Oxford or Wiley’s direct platforms.